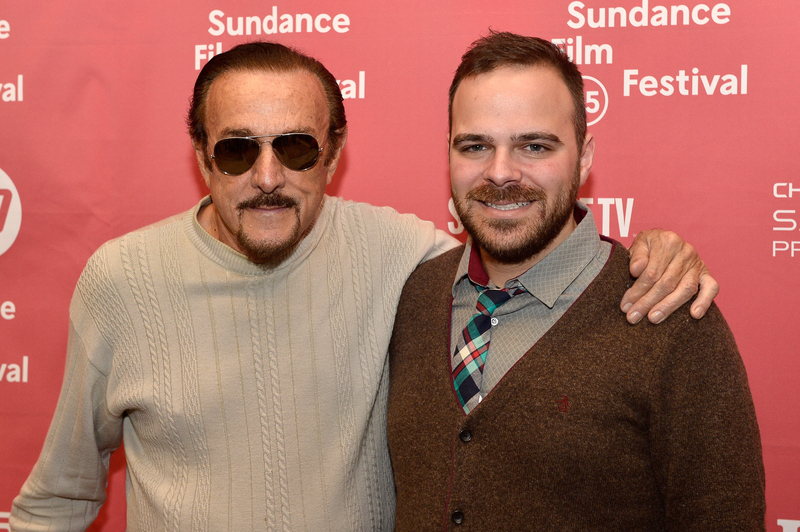 Kyle Patrick Alvarez is no newbie to the film industry, but he faced a unique challenge with his most recent film, the based-on-reality Stanford Prison Experiment. In making the movie, the director was tasked with creating a film that held its own as a feature but also stayed faithful to the actual events. Based on Dr. Philip Zimbardo's famous 1971 study on how people react to authority, the movie had to to strictly adhere to the facts in order to use the university's name in its title. So, how did Alvarez make The Stanford Prison Experiment as historically accurate as possible? Much of the credit goes to screenwriter Tim Talbott, the director says, speaking with Bustle. Serendipitously, while Talbott was writing the script, Dr. Zimbardo — who acted as a consultant on the film — was working on a book about the experiment called The Lucifer Effect. Says Alvarez, "The timing couldn’t have been better because they were able to sort of combine the resources, the research, do a lot of back and forth." There was also a wealth of material preserved from the actual experiment — video footage, photos, and other documentation. Says the director, "Tim really did that heavy lifting of watching through all the footage and everything, and what’s great about that is by the time I got involved ten years later, I was able to get access to all that stuff. The story had been built and so I watched all that just to try to get a sense of the mood and the feeling of it." Once they were past the conceptual stage, the production team had to take on the logistics of keeping the film as true to life as they were physically capable. Alvarez recalls going "up to Stanford with our production designer, and he measured the hallway down to the square inch so we could rebuild that on the sound stage." Adds Zimbardo, "The historical reconstruction is really amazing — certainly all the costumes, the hair, the makeup... but little things like, there was a quick scene with a bulletin board with a Stanford banner on it and tacked on the bulletin board is a newspaper. And when I was on the set I went to look at the newspaper and it was from August 14, 1971 — The Stanford Daily. So you can't really see it, but even recreating it, the people doing props wanted to have that realism." Reminiscing on the experience of constantly visiting the hallway set during the shoot, Alvarez says that "every day there was some sort of... 'joy' isn’t the right phrase, but there was so much excitement and responsibility everyone took in trying to recreate as much as we could with what was allowed." He notes that, even if some people look at the film and think that a lot of it is made up, the advantage to this project is that there is so much documentation about the experiment that viewers can "see the lengths [the filmmakers] went through to stay true to it." The making of The Stanford Prison Experiment was clearly quite an undertaking, and so the veracity of the film's depiction of the events is truly impressive. Zimbardo, Alvarez, and the rest of the Stanford team took great care in constructing a movie of both great cinematic quality and historical truth.